Born in 1997. Began study of classic ballet at the age of three. 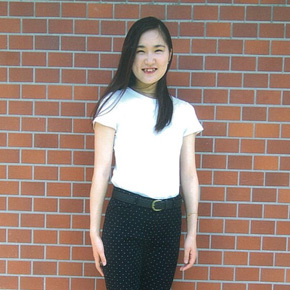 Now in her fourth year studying dance at Nihon Women’s College of Physical Education. Has performed with Takano Miwako, Ito Kaori, and Shiraga Momoko. From Chiba. Began classic ballet as a young child. Studied contemporary dance with Futami Kazuyuki. Has danced in works by Futami Kazuyuki, Kimiho Hulbert, Seyama Azusa, Fabien Proville of Wuppertal dance troupe, Sakata Mamoru, Hasegawa Maiko, and Tashiro Rie. 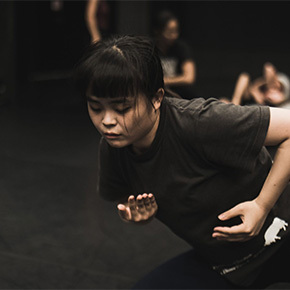 Is involved in a wide range of activities, including choreography and dance improvisation. A graduate of the dance department at Japan Women’s College of Physical Education. Born in Tokyo in 1994. 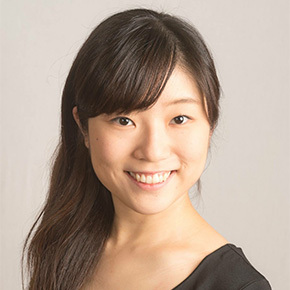 Graduated from the Dance Department at Ochanomizu University, where she is now pursuing a master’s degree. Has performed in works by Morishita Maki and Nakamura Yo. 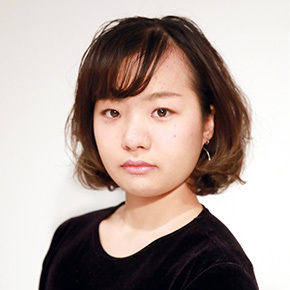 She appeared at Mixed Bathing World, performed in the opening act at the 2018 “Dance Festival for Young Beasts,” and participated in the Hokuriku Dance Festival. 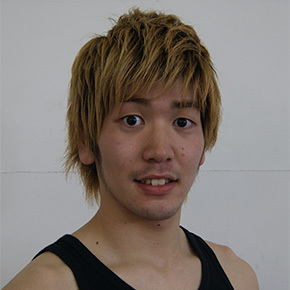 Born in Kagoshima Prefecture in 1993. 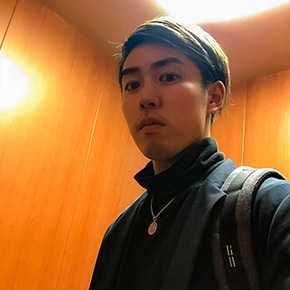 A graduate of the film department at Kyoto University of Art and Design, he was later involved as a film, photography and production assistant with <Dance PJ Revo>, led by Tamura Koichiro. 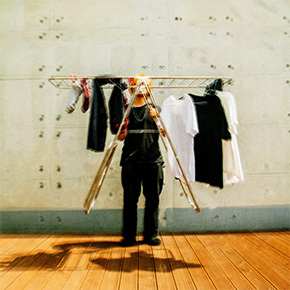 In recent years, he has contributed to the <NAMSTROPS> art exhibition Small Country and the documentary film Iwaki. 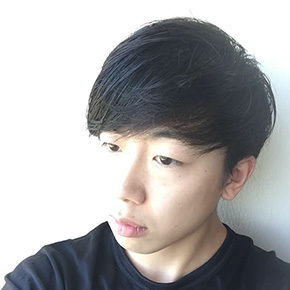 “RINJIN NO (Neighbor)” is his debut as a choreographer. 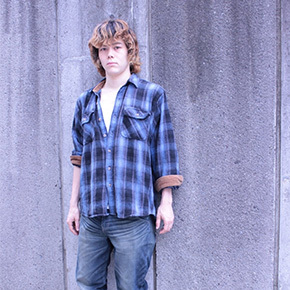 Born in 1997 in Ashiya City, Hyogo Prefecture. Began dancing in high school; currently is a student at Osaka University of Health and Sport Sciences. Has received awards at numerous national and other contests and has also performed in Korea and other countries. Began her study of classical ballet at the age of four. Graduated from Nihon University College of Art Dance and Choreography Course, then joined in Spain. Has performed on many stages since returning to Japan. Studied at Japan Women’s College of Physical Education. Now twenty-two. Started learning classical ballet at early age. Won the Jury Prize for her solo work “Kamaseinu (Fake Loser)” at the SAI dance festival 2018. A graduate of the J.F. Oberlin University Arts and Culture Program. While a student, began studying dance with Kisanuki Kuniko. Performed in “Haku no Fuchi (Abyss of the Spirit)” at Dance OPAL2017 and “Mukashi-Mukashi Nihon (Long, Long Ago Japan)” at the League of Theatrical Arts University vol. 4. While still at school, he presented five original dance works of his own. Studied with Morii Jun. Began dancing shortly before graduating from Kinki University, with in <Nibroll> and other groups. Participated in the Contemporary x Street collaboration with hearing-impaired dancers at Big-I ART FESTIVAL 2015. Appeared in works by Hirahara Shintaro, Yamazaki Kota, and Kim Jae-duc at the fifth Kokunairyugaku@Kobe. Frontman for <no art on>. Furusawa, who began her study of ballet and hip hop at the age of three, was the winner of the World Hip Hop Championship 2008. Performed as one of the Jacksons’ dancer in the “Michael Jackson Tribute Live.” Then studied performance in the Fine Arts Faculty at Nihon University. Now active as a dancer and actress. 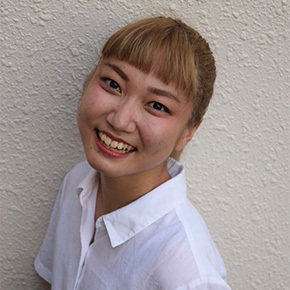 A student in the 28th class to graduate from the Hyogo Prefectural Takarakuza-Kita High School. Started classical ballet at four years old, started jazz dance and tap dance at age six, began his study of contemporary dance at the age of eighteen. In 2015, he participated in the <Joffrey Ballet School> summer intensive program. In 2016 he performed in Taiwan and in Yokohama in work by globally renowned choreographer Shimazaki Toru. In 2017, he joined the <Gentou-Gekijo (Theater Phantom)> artist collective based in Kyoto. Is active as an actor, dancer, and choreographer both inside and outside Japan. From Tokyo. 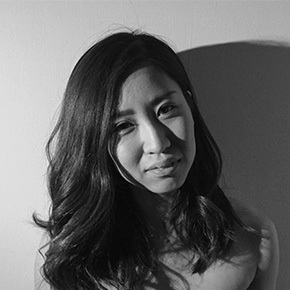 Met Ohashi Kakuya when she was sixteen and began to study dance; now a university student and studying dance with Kato Miyako. After experience in performance and choreography at university, she began to create her own works. In 2017, she completed a master’s degree in performing arts in the Graduate Faculty of Fine Arts at Nihon University.